On arrival at Amritsar/Pathankot and drive to Amritsar. Visit Golden Temple, Jallain Wala Bagh, Wagh Border. Overnight at Hotel. After breakfast check out from hotel and drive to Dalhousie. Overnight at Hotel. Dalhousie has been named after the British Governor – General of the 19th century, Lord Dalhousie. Surrounded by varied vegetation – pines, dodders, oaks and flowering rhododendron. Local sightseeing of Dalhousie includes visit to Panjipula, Subhash Baoli and excursion to Khajjiar 24 km from Dalhousie surrounded by thick Deodar forest. Drive from Dalhousie to Khajjiar is awesome. Overnight at Hotel. After breakfast check out from hotel and drive to Dharmshala. Overnight at Hotel. Dharmshala : Dharmshala is a hill station lying on the spur of the Dhauladhar Mountains about 18 kms north-east of Kangra, It is known for its scenic beauty set amidst high pine and oak trees. Since 1960, when it became the temporary headquarters of his holiness The Dalai Lama, Dharamshala has risen to international repute as “ The Little Lhasa in India”. Overnight at Hotel. 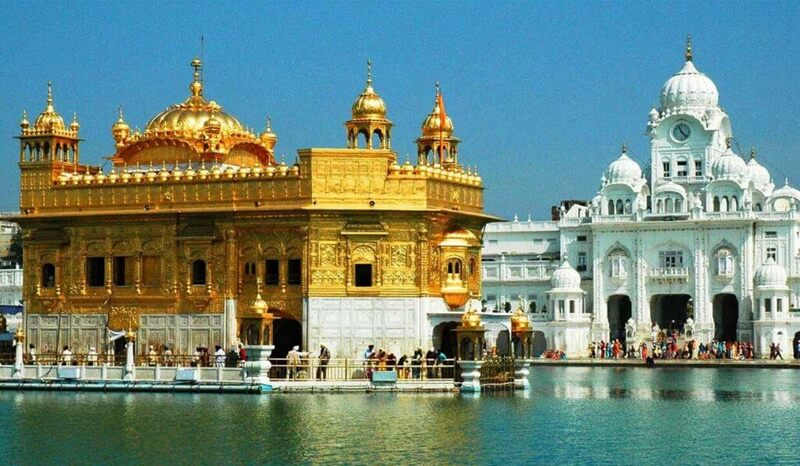 After breakfast check out from hotel and drive to Amritsar/ Pathankot Drop.